Vplus is popular scrim vinyl banner with outdoor printing and used by sign making companies using normal roll to roll signage printing machines. Use for general purpose signage advertising materials - semi-flexible. 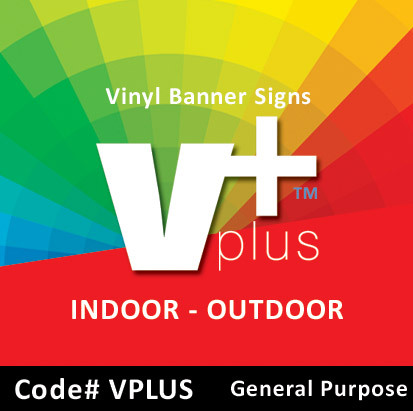 eg: Banners Vplus is a modern version of traditional pvc vinyl with excellent print quality. Inks tend to 'sit' on vinyl rather than penetrate like that of DBAB, DBFM and other products listed here. This means that pvc signage may suffer scratches, irreparable marks, creases etc. Machine marks or handling or print blemishes are not excuse for return and are part of normal manufacturing and handling processes. You can swap to Durabanners DBAB to replace vinyl. #1 Maxi sizes are joined from master 11' 3.1 metre rolls. #2 Sewn edges. We do not use seam welders. Seam welding will change/affect approx 2" 50mm of your edge color and distracts from artwork. Comparison: Vplus is moderate color accuracy. Printed in CMYK digital process. Disadvantages: The product may scratch, can not be folded without creasing. Rolled for shipping. Avoid folding. Increased shipping costs due to being rolled on a cardboard core for shipping. Note: Also consider DBAB Durabanners or TEPRO600 Te-Pro Canvas or DCPU Display Chief poly fabrics. #1 Size is unlimited, the size range is small to huge. Events may order one (1) piece or fifty (50) pieces all custom sized to suit their applications. 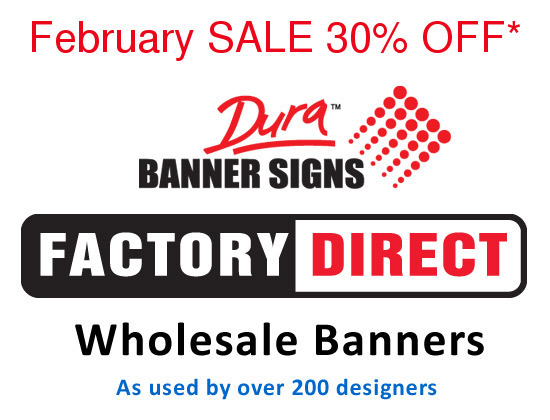 Note: Vinyl banners are an all purpose vinyl pvc material with outdoor printing inks used commonly for general outdoor advertising and faced billboard structures. Vplus is ideal for branding and bulk printing. Quantity discounts are available. 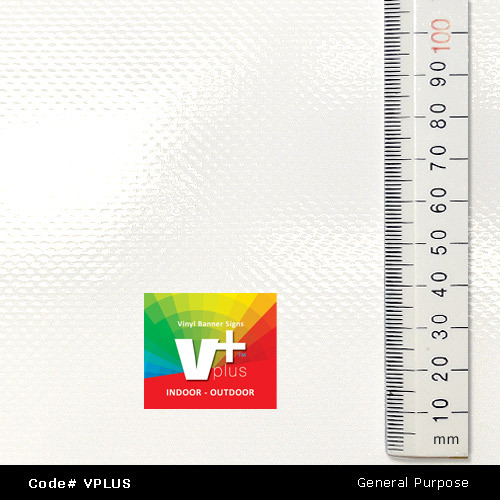 Vplus is supplied to over 150 brands, agencies, designers and sign firms. 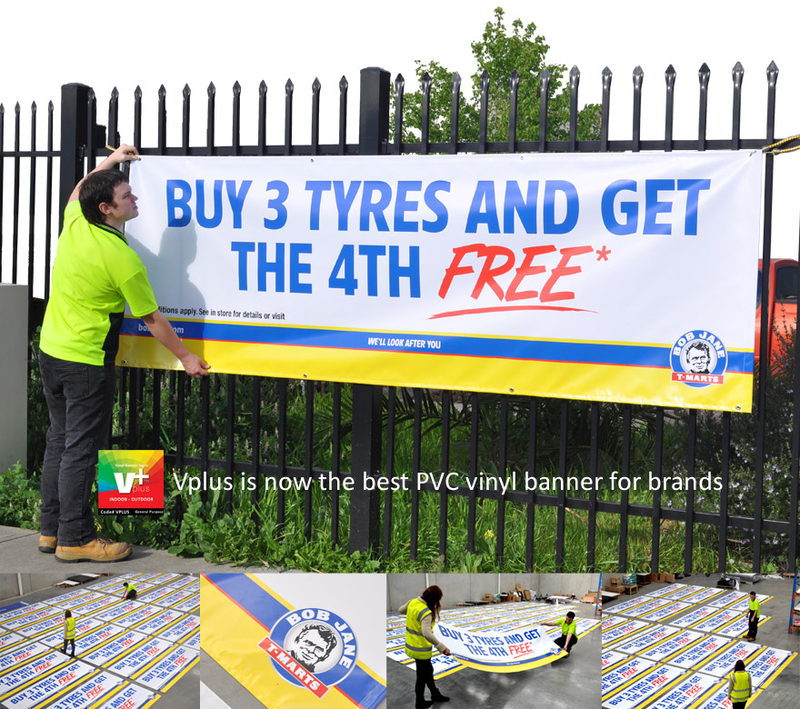 Vplus is now the best PVC vinyl banner for brands. 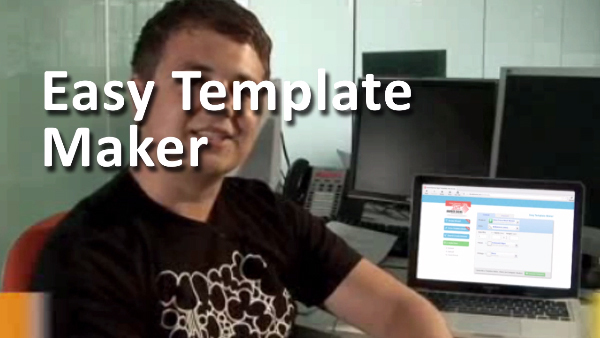 As used by over 150 design & sign firms. Made for custom vinyl banner printing and signage advertising. This vinyl banner on the fence and factory images shows the bulk capacity and flexibility these vinyl banners offer popular brands. All fitting options and finishes are available. Vinyl banners can be manufactured with pole sleeves, hook n loop (velcro), eyelet grommets and specialized features custom to your needs. Use for custom branding and outdoor advertising media, small to large banner placements roadside yard and fence, ideal for fixing against walls and buildings a well designed vinyl banner pvc can be used in all situations and is weatherproof with short / medium / long durability.